In my attempt to find some of the most interesting and legendary events around the globe, I came across this one. 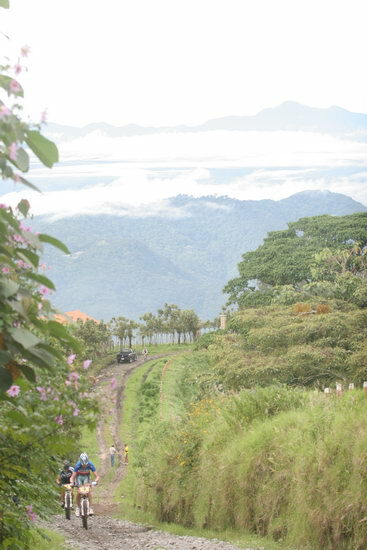 It’s called La Ruta de los Conquistadores, and it’s a multi day mountain bike race in Costa Rica. Considered the toughest mountain bike race in the world, it’s a 4 day stage race from the Pacific to the Caribbean, loosely retracing the journey of Spanish Conqueror Juan de Cavallón. The first day is a 68.7 mile suffer-fest starting from the Pacific coastal town of Jaco, through 14,500 vertical feet of climbing, river crossings, and long stretches of sticky mud, to the city of Colon. You have 12 hours and 30 minutes to finish, but that often is not enough. The second day is 47.5 miles of more climbing and rainforest through the interior of Costa Rica. Cut off? 10 hours 30 minutes. For those keeping track that’s an average speed of 4.5 mph, and beating the cutoff is no piece of cake. The third day of this race starts just outside the town of San Jose and is 41.6 miles long. It’s the shortest of the 4 stages, and for good reason. This stage almost immediately starts the climb up the Irazú volcano and tops out at over 9,000 feet. Day 4, the final day of the race, takes you from the finish of day three, 78 miles to the Caribbean coast. It might be the easiest of the 4 stages in terms of terrain (roughly the first 33 miles are descending), but it’s still a long day in the saddle. Oh yeah, and you have to ride two sections on bone jarring train tracks. Sound like fun? Well if you enjoy mountain biking and love a great challenge, it could be the event of a lifetime.